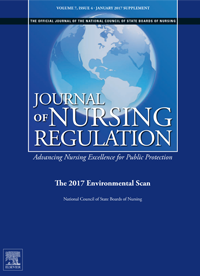 The Journal of Nursing Regulation (JNR) is a peer-reviewed, academic/professional journal published quarterly in January, April, July and October. 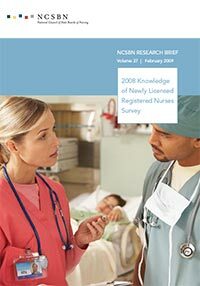 It provides a worldwide forum for sharing research, evidence-based practice, and innovative strategies and solutions related to nursing regulation and practice. 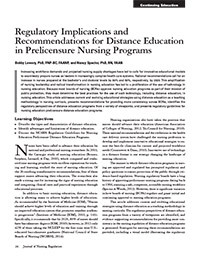 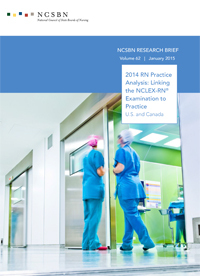 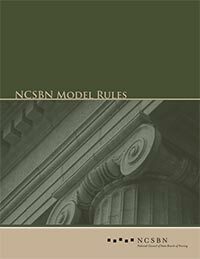 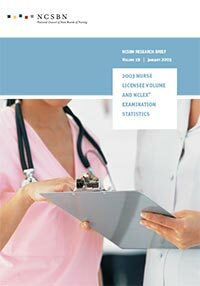 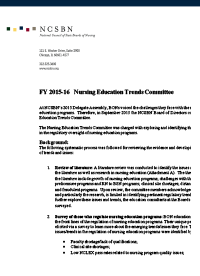 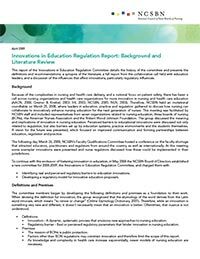 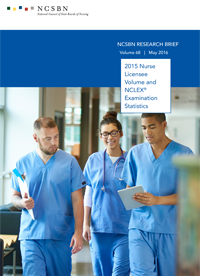 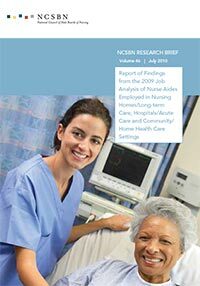 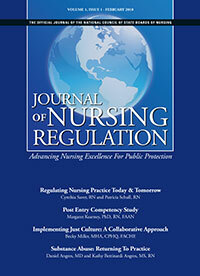 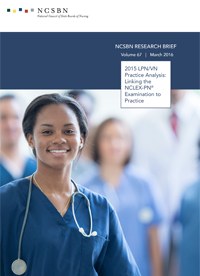 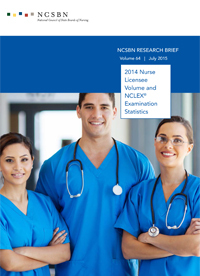 The Journal of Nursing Regulation is available online. 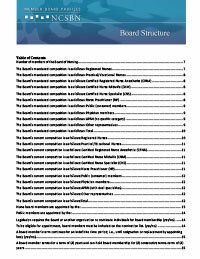 Questions or comments may be directed to jnr@ncsbn.org. 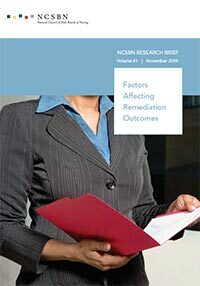 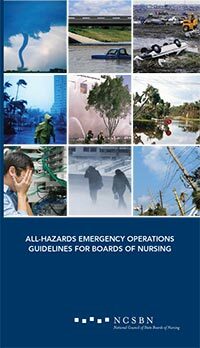 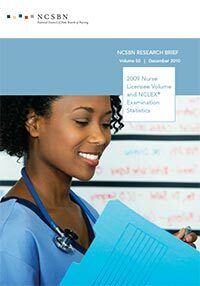 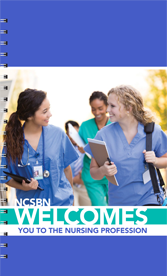 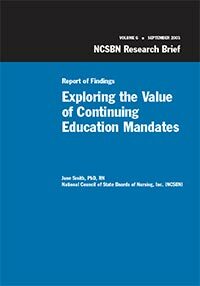 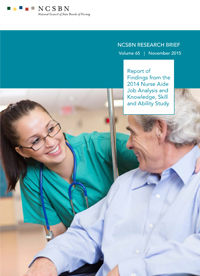 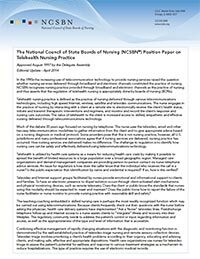 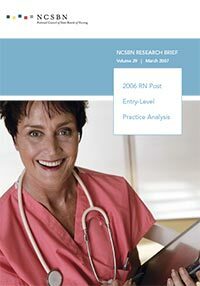 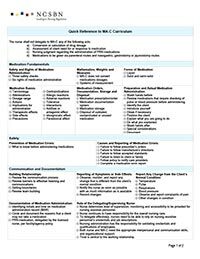 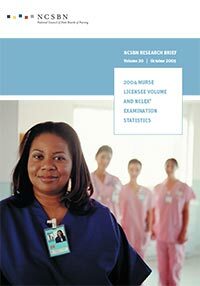 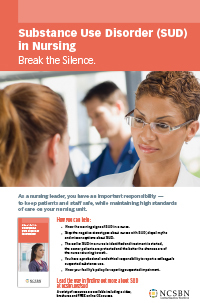 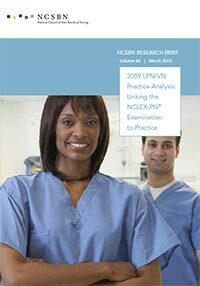 Offered as a free gift to newly licensed nurses in honor of its 40th anniversary, NCSBN created this 50-page booklet as a resource to help nurses better understand nursing regulation and their board of nursing (BON). 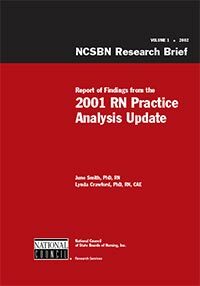 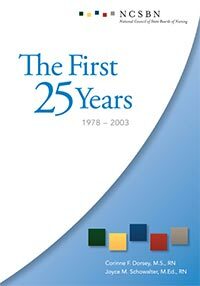 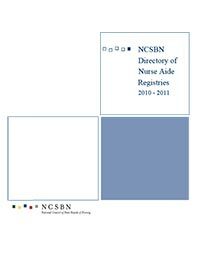 This book explores the NCSBN organization's origins and its work from 1978-2003, as well as the historical role of nursing regulation. 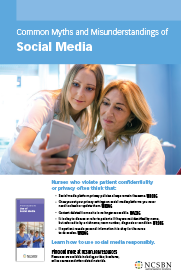 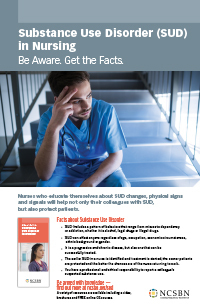 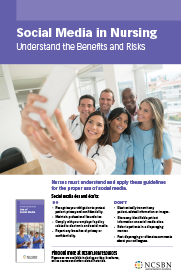 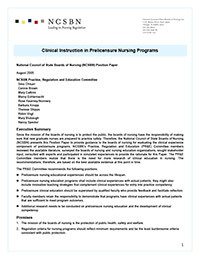 This brochure helps nursing students, educators, health care organizations and the public understand and apply the concepts of professional boundaries between a nurse and a client. 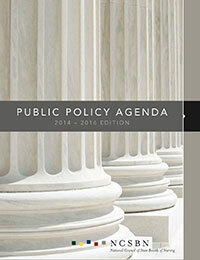 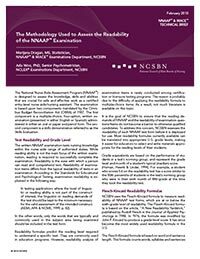 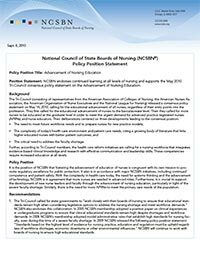 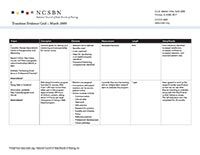 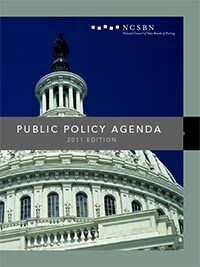 The NCSBN Public Policy Agenda delineates the organization's policy goals, highlights the organization's policy activities and outlines what you need to know about NCSBN. 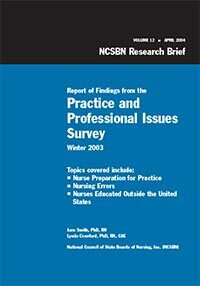 Practitioner wellness is a patient safety issue impacting an increasing number of practitioners each year. 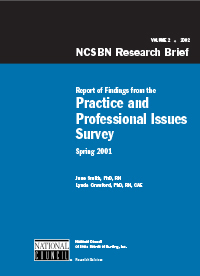 It is a complex problem that demands a comprehensive and transparent approach in identifying, treating, and preventing burnout and other stress-related conditions. 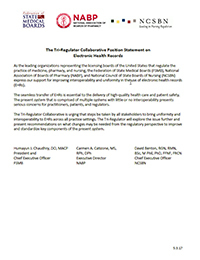 The Tri-Regulator Collaborative is urging that steps be taken by all stakeholders to bring uniformity and interoperability to EHRs across all practice settings. 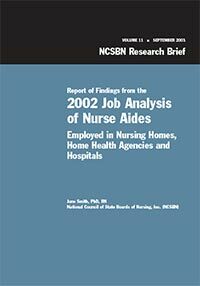 The nursing shortage has led to an influx of nurses educated outside of the United States. 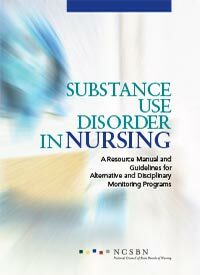 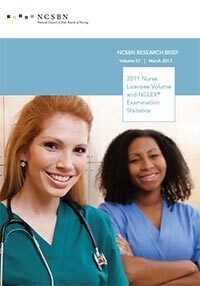 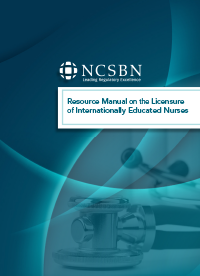 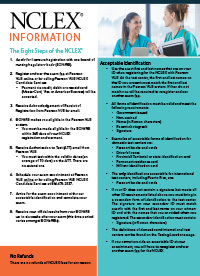 The Resource Manual for Licensure of International Nurses was developed as a user-friendly resource for boards of nursing. 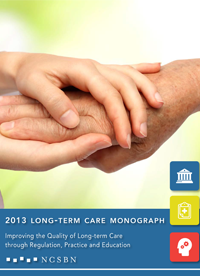 The Long-term Care Conference monograph includes themes from the discussions, along with brief summaries of published research on each of the major themes. 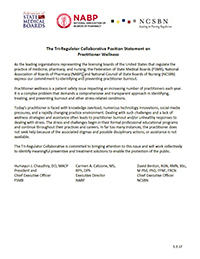 A post-conference survey was sent to all participants six months following the conference to identify any steps taken or changes made as a result of attending the conference. 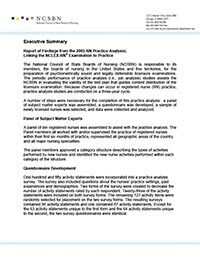 The results of the survey are also presented. 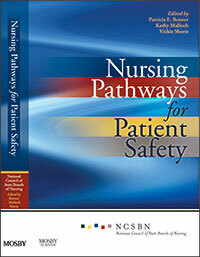 The monograph is intended for conference participants, nurses practicing in LTC, nursing home leadership, and organizations/agencies representing nursing homes and nursing home leadership. 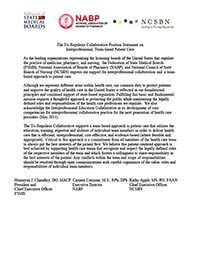 Tri-Regulator Collaborative express its support for interprofessional collaboration and a team-based approach to patient care. 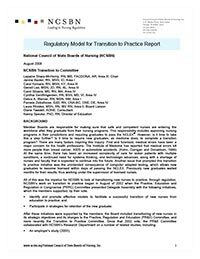 The Tri-Regulator Collaborative affirms that in a consumer protection model, health care practice occurs where the recipient of health care services is located. 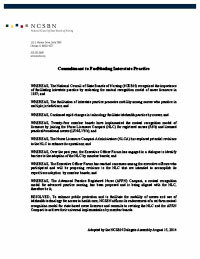 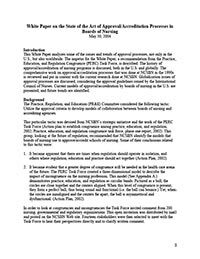 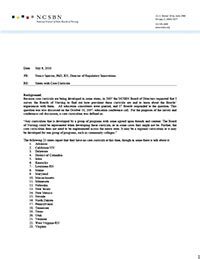 This is the resolution describing the commitment of NCSBN in facilitating interstate practice which was adopted by the NCSBN Delegate Assembly on Aug. 15, 2014. 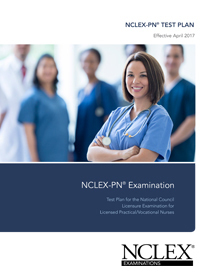 The development, administration and future direction of the NCLEX examinations is guided by the core values of NCSBN, which include collaboration, excellence, innovation, integrity and transparency in advancing regulatory excellence worldwide. 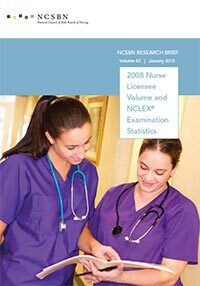 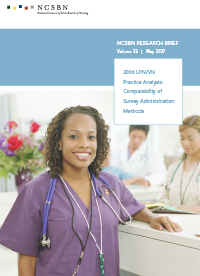 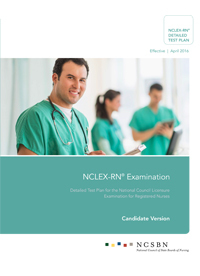 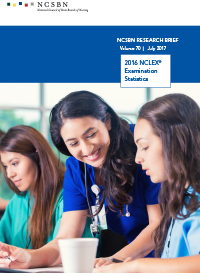 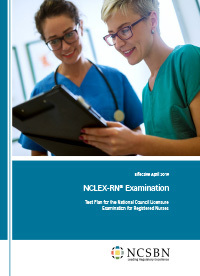 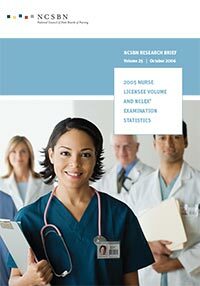 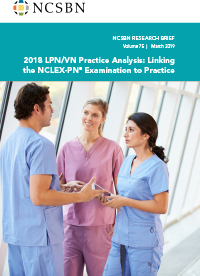 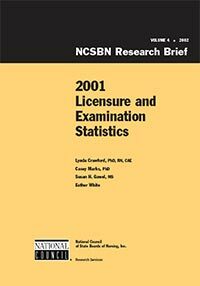 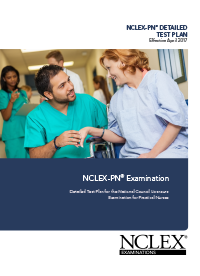 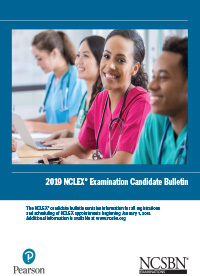 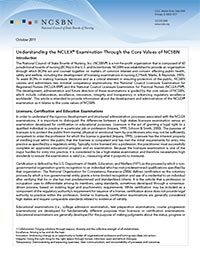 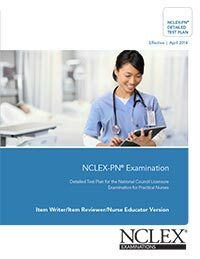 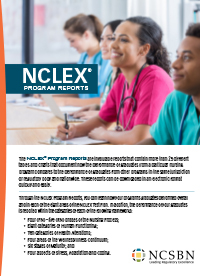 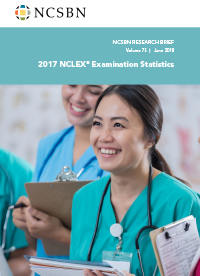 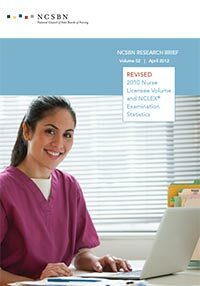 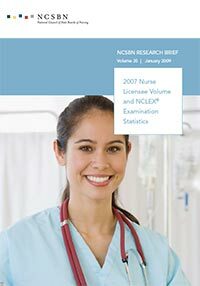 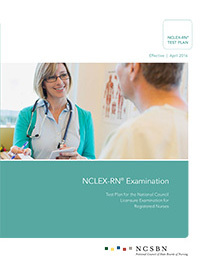 This article is intended to provide information about the development and administration of the NCLEX examination as it relates to the cores values of NCSBN. 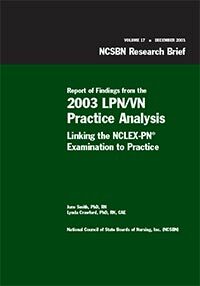 Explains the methodology used to assess the readbility of the NNAAP Examination. 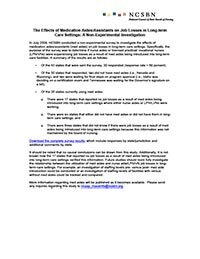 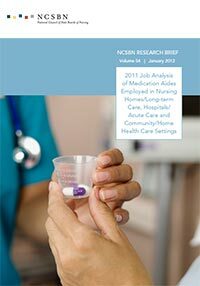 A summary of the results of a non-experimental survey to investigate the effects of medication aides/assistants (med aides) on job losses in long-term care settings. 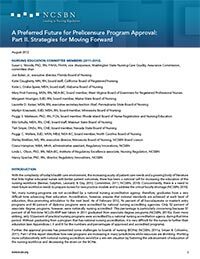 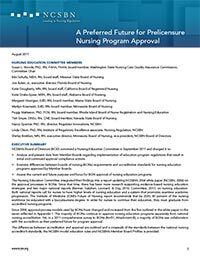 Gain a better understanding of the requirements for adopting the Consensus Model for APRN Regulation. 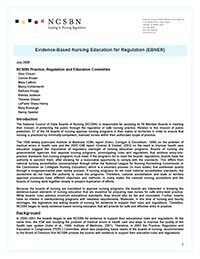 Nursing regulation exists to protect the health, safety and welfare of the public in their receipt of nursing services–and much more. 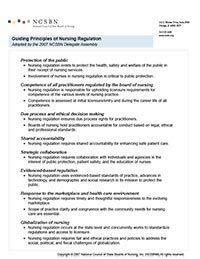 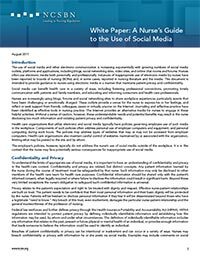 The complete scope of the guiding principles of nursing regulation are found in this paper. 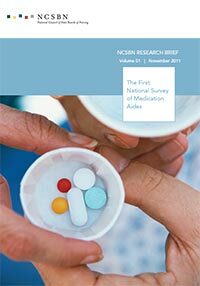 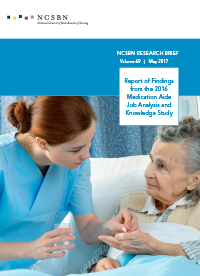 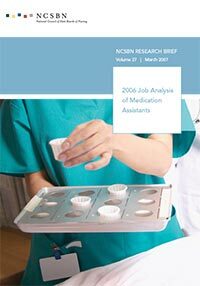 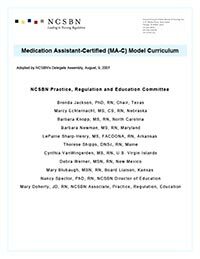 This study reports the activities performed and the essential knowledge needed by certified entry-level medication aides/medication assistants (MAs) employed in various health care settings. 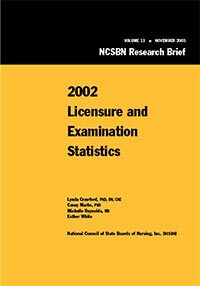 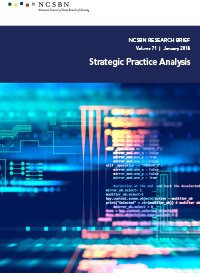 The findings from this study are used to evaluate the validity of the test plan, content outline and examination questions for the MA certification examination. 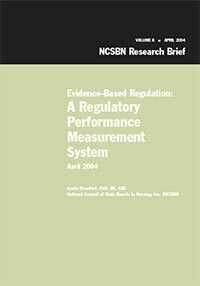 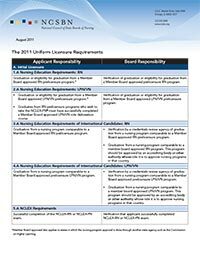 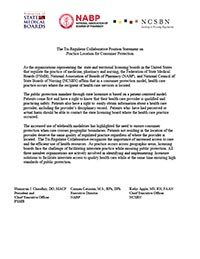 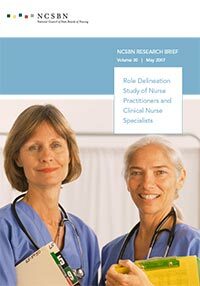 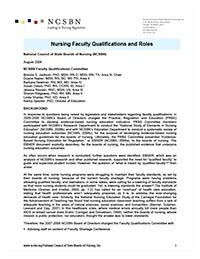 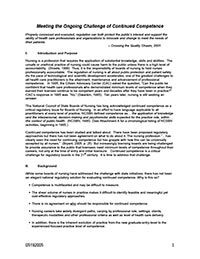 This role delineation study provides data to boards of nursing to assist them in determining the level of regulation appropriate for nurse practitioners and clinical nurse specialists. 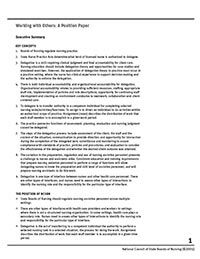 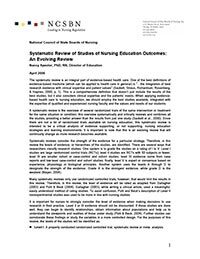 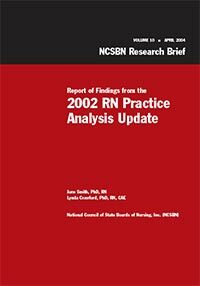 A National Survey links the elements of nursing education to perceived preparedness of new graduates for nursing practice (© 2006). 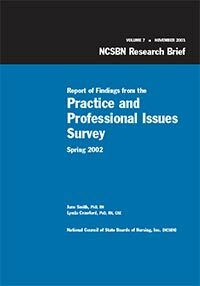 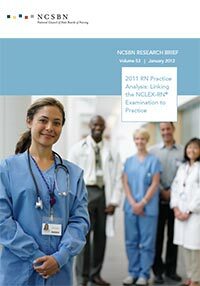 Practice and Professional Issues Surveys are conducted twice a year by NCSBN to collect information from entry-level nurses on specific practice activities and current professional issues. 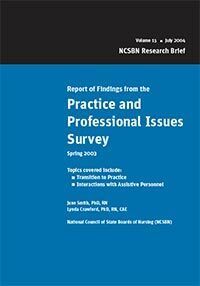 The purpose of the Practice and Professional Issues (PPI) survey is to collect information from entry-level nurses on specific practice activities and current professional issues. 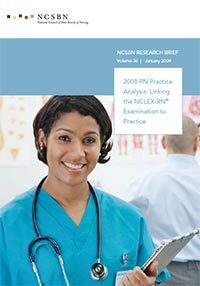 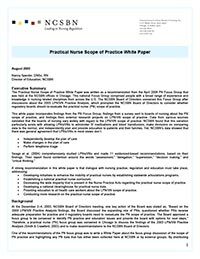 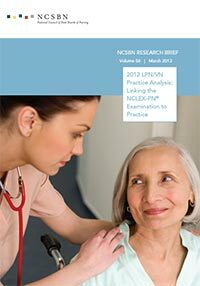 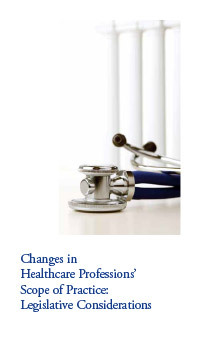 The Winter 2003 PPI was designed to collect data from entry-level nurses educated in the U.S. and from nurses educated in foreign countries who had recently been licensed to practice in the U.S. 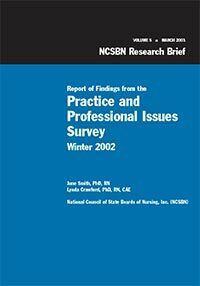 Practice and Professional Issues Surveys are conducted twice a year by NCSBN to collect information from entry-level nurses on specific practice activities and current professional issues. 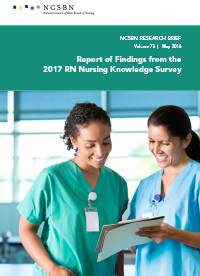 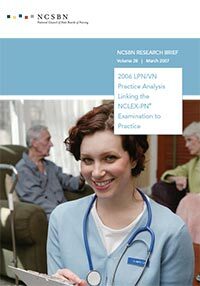 Data is collected from nurses during their first six months of practice on activities they are performing as nurses and on selected issues surrounding that practice. 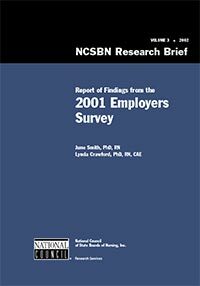 This study was conducted October through December 2001. 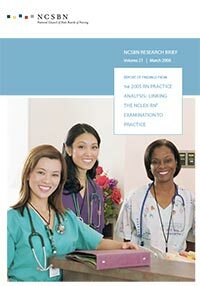 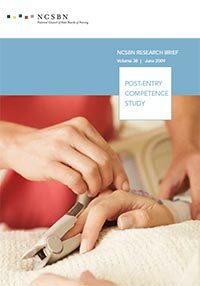 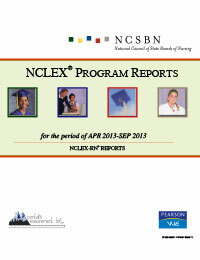 Empiric evidence from the NCSBN RN practice analyses has demonstrated that associate degree and baccalaureate degree graduates are hired into the same types of positions and perform the same tasks within their first six months of practice; however, the employers of entry-level nurses have not been systematically surveyed about their actual hiring and employment practices. 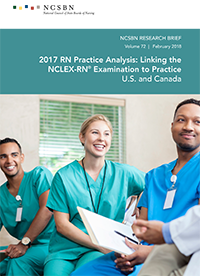 This survey addressed those practices and also asked employers to rate new RNs and LPNs on their preparation for various practice tasks. 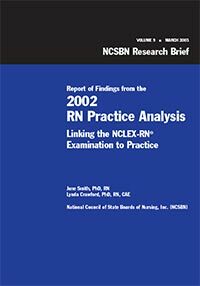 The purpose of this study is discovery of any potential differences between the entry-level practices of graduates of associate degree and baccalaureate degree RN educational programs (© 2002).